One of the trendiest treats at Starbucks is made specifically for man’s best friend! However, there’s not need to haul your dog to a coffee shop to snag the coveted Puppuccino. You can make one in your own home – no barista experience required! Keep reading to learn more about the famed Puppuccino and how to recreate it for your furry friend. Is your Whippet crazy for whipped cream? Do you wish Starbucks could transform into a dog-friendly Starbarks? Then the Puppuccino could be the perfect treat for your pup! A Puppuccino is simply whipped cream in a small cup. Starbucks happily gives these to pups accompanying their human’s coffee runs. 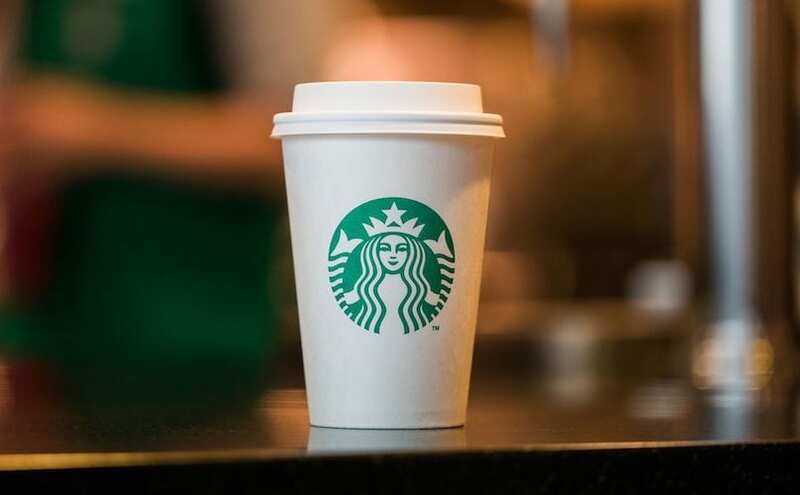 Puppuccinos gained popularity as Starbucks lovers shared images of canines snout-deep in Starbucks cups. Soon, videos of pups eagerly lapping up cream and resurfacing with white moustaches worthy of a Got Milk? ad took over the internet. Who knew a bit of whipped cream could bring so much tail-wagging fun? In general, the occasional puppuccino does not pose a health risk to cream-loving canines. However, puppuccinos could potential have adverse effects on dogs with dairy sensitivity and other digestive conditions. Dogs with these issues may experience gas, bloating, diarrhea, and/or acute intestinal distress. It’s always best to consult with your veterinarian before giving your dog a novel treat. While puppuccinos are generally safe for canine-consumption, they are not exactly healthy (surprise, surprise). The primary ingredients of whipped cream are cream and sugar. Given the high fat, dairy, and sugar content, puppuccinos have no nutritional value. Yet, they can certainly be enjoyed in moderation! Puppuccinos should be an occasional, novelty treat for your pup. Not only does this protect your pup’s health, but it makes puppuccinos even more special! How Can I Make A Puppuccino For My Dog? Starbucks isn’t the only source for this pup-friendly, whipped cream delight! You can easily make a puppuccino in your own kitchen. Don’t be intimidated by the fancy, four-syllable name. A puppuccino is one ingredient: whipped cream! Grab a cup (or bowl). Portion control is important since dogs should only consume whipped cream in moderation. Make sure the cup holds the appropriate serving size (approximately 2-4 ounces). Also ensure that the opening of the cup is large enough for your dog’s snout. Fill the cup with whipped cream. Canned whipped cream is the most convenient option, but traditional whipped cream can also be used. Serve the Puppuccino to your eagerly waiting pup. (Optional) Take tons of pictures and videos of your pup going bonkers! And there you have it, steps to making the perfect Puppuccino! You’re now ready to be the head barkrista at Starbarks! Does your dog have special dietary needs or a dairy sensitivity? Are you reading these Puppuccino instructions and thinking, “ain’t nobody got time for that”? No worries, Bark makes a variety of all-natural dog treats that are just as fun and tasty. And, best of all, no assembly is required. If you want to give your dog the cafe experience without the sugar, cream, or mess, opt for soft baked treats! Bark’s Soft-Baked Treats are the canine equivalent of coffee shop pastries. Some dogs may not enjoy the sticky, creamy texture of whipped cream. Soft baked treats are great alternatives that offer a more satisfying crunch for your dog’s snack time pleasure. Do you have a plump pup who’s on a diet? Unfortunately, Puppuccinos may not be the best option for canines trying to shed their winter weight. But, chunky chihuahuas and heavy hounds deserve treats too! Low Fat Treats from Bark are the perfect solution for rewarding pups on a health kick. They’re filled with the same rich flavors as other treats, but much less fat. Plus, Bark’s treats are made with all-natural ingredients and contain no soy, wheat, or corn! There you go, all the information pup parents need about Puppuccinos, how to recreate them, and alternatives to this Starbucks delight! What Is A Puppuccino? And Is it FREE?